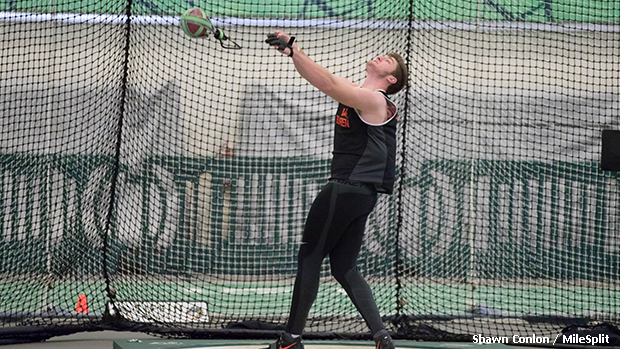 Tyler Arbaugh resides at the top of the state's weight throw rankings. Ohio's athletes put in a quality weekend of work out at the National Pole Vault Summit in Reno and at the prestigious VA Showcase over in Lynchburg. And while most of the scheduled state-side meets were canceled due to inclement weather, the Sid Sink Open in Bowling Green managed to proceed as planned and also had strong performances. See the links below and browse the next page to get caught up to speed on some of the top weekend results.